Lexington, KY - The 2011 United States Equestrian Federation Pony Finals continued today at the picturesque Kentucky Horse Park with the conclusion of the Green Pony Hunter divisions. Ponies and riders from each division completed their over fences phases, competing for the top honors, as well as the championship and reserve championship titles. At the end of the day, Kirklen Petersen and Magical Diamond claimed the Green Pony Hunter Grand Championship title after winning the Medium Green Pony Hunter Over Fences and the Medium Green Pony Hunter Championship. The first class of the day for the USEF National Hunter Pony Championships, presented by Sallee Horse Vans, was the Small Green Pony Over Fences. Emma Lemke and Chatterbox, owned by Frank Hernandez of Cordova, TN, jumped to the top of the leaderboard with scores of 85, 82, and 85, taking home the blue ribbon prize. Lindsay Levine and Bit of Laughter, owned by Scott Stewart of Wellington, FL, followed in the second-place position after earning an 83, an 83, and an 81. The third-place ribbon went to Emma Kurtz and Quicksilver Butterfly, owned by Kate Taylor of Pittsford, NY, who received scores of 84, 79, and 80. 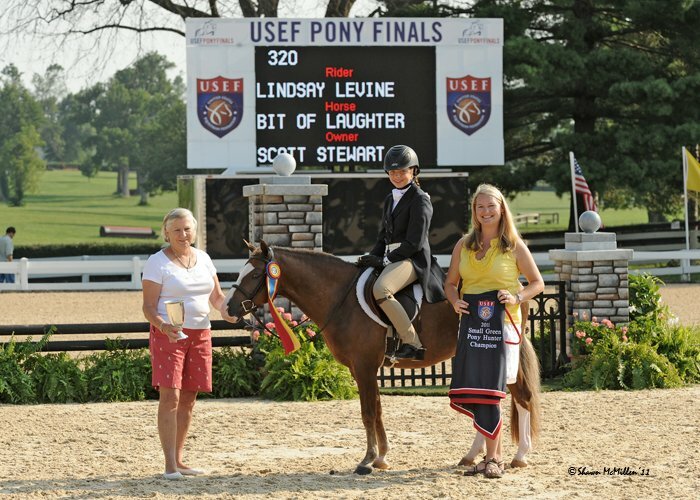 At the end of the class, the overall points were tabulated and Levine was named with Overall Small Green Pony Hunter Champion aboard Bit of Laughter. The reserve championship honors were presented to Kurtz and Quicksilver Butterfly. "This is Bit of Laughter's first time at Pony Finals," commented Levine. "He is still very young and very green, so you have to stay in the middle and keep him going because if you fall out he falls off his lead. The course today was good. I thought he was going to spook on the out of the diagonal line because he isn't as experienced as my other ponies, but he was really good." Bit of Laughter and Lindsay Levine. Photo by Shawn McMillen. The Medium Green Pony Hunters were next, and it was Magical Diamond's stunning performance over fences that helped him win all the top awards with Kirklen Petersen in the irons. The duo took home the blue ribbon prize in the over fences class with scores of 85, 88, and 83.75, which would be good enough to claim the Overall Medium Green Pony Hunter Championship. Elizabeth Foster and Born Free Farm of Dover, MA own Magical Diamond. "I started showing Magical Diamond at WEF and he was great, he was circuit champion," explained Petersen. "He needs a loose ride, you just help him find the jumps, but he's not green at all for the most part. The course was pretty good, I hate bending lines, but the rest was good. I am really happy and I really like Pony Finals because it's the biggest show of the year and I get to spend time with my friends." The pair's excellent performance over the last two days was good enough to earn them the Overall Green Grand Hunter Pony Championship, as well. Magical Diamond's owner Elizabeth Foster said, "It's hard to describe riding him. When I am trotting on him I feel like I am floating on air. He is really easy to see distances on. Once you click with him it is indescribable. I have been so excited and nervous for them, my heart is still pounding!" The Overall Medium Green Pony Hunter Reserve Championship went to Meredith Darst and Easter Monday, owned by Carol Dornish of Delaware, OH, who were ranked third going into the final phase and placed fifth over fences. The second-place prize in the over fences was presented to Isabella Hendrickson of Shaker Heights, OH, and Woodland's Stevie Ray, who had scores of 86, 82, and 83.5. Sierra Lesny of New Cumberland, PA, and Gidget picked up the third-place honors after receiving scores of 82, 83, and 84. Meredith Darst and Faunti. Photo by Shawn McMillen. "Easter Monday is fun; she has a big stride and jumps really well," noted Darst. "She was really good this weekend. She is still really green, so it's really good that she was able to go in and do such a good job." In the Large Green Pony Hunter division, Darst stepped up to win the Overall Large Green Pony Hunter Championship aboard Faunti, owned by Meredith Maroonie of Ft. Lauderdale, FL, after placing second in the over fences with scores of 84.5, 81, and 83.75. The duo also received the Overall Green Grand Pony Reserve Championship title. "I started riding Faunti during WEF," commented Darst. "He is really smooth and his lead changes are really easy. He's green, but he's not spooky or too green. We practiced in the horse show here last week, and we were able to remember each other a little bit since he doesn't live in Florida with me. I really enjoy showing at Pony Finals because the ring is big, so it gives you time and room to think." The Large Green Pony Hunter Reserve Championship went to today's Large Green Over Fences winner, Savannah Talcott and Someday Came, owned by Madelyn Porter of St. Louis, MO. 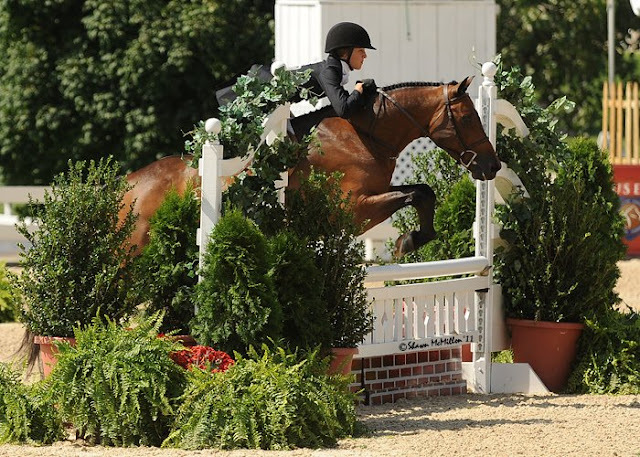 The duo received scores of 82, 86, and 86 to earn the class's blue ribbon prize. Morgan Ward of Milford, NJ, and Romeo took home the third-place honors after earning scores of 79, 79, and 84.5. The next presentation was for the Welsh High Score Green Pony, and the winning prize was awarded to Darst for her ride aboard Easter Monday. Taking home the reserve title was Madeline Schaefer and Bieber, owned by Bibby Farmer Hill of Reddick, FL. The Regular Medium Pony Hunter Under Saddle took place next in the Walnut Ring. The top call went to Meredith Darst and Enchanted Forest, owned by Dr. Betsee Parker of Middleburg, VA, while Kirklen Petersen and Heart's Desire, owned by Stone Ridge of Calgary, Canada, followed in second. 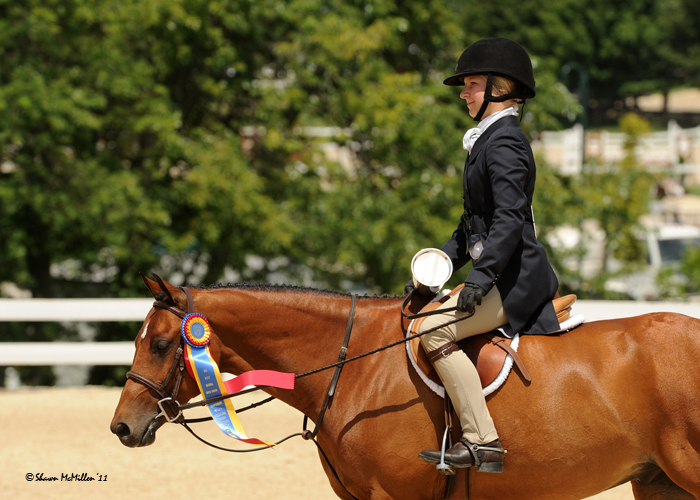 Carly Alder and Nemo, owned by Tammy Provost and Wind Haven Farm of Zionsville, IN, took home the day's third-place honors. The final activity of the day at the USEF Pony Finals was the Lip Sync Show, benefiting Danny and Ron's Rescue. Each team had a wonderful performance during the event, which was held in the Covered Arena at the Kentucky Horse Park. 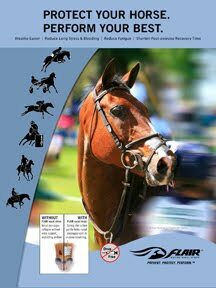 The 2011 USEF Pony Finals will continue tomorrow with the Medium Pony Hunters' over fences phase, as well as the Small Pony Hunters' model and under saddle phases. In the Covered Arena, the Pony Jumper competition will be getting underway in the evening as they compete for top prizes. 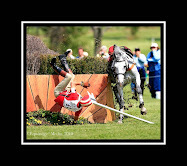 For more information about the 2011 USEF Pony Finals, visit http://www.usefnetwork.com/featured/2011PonyFinals/.